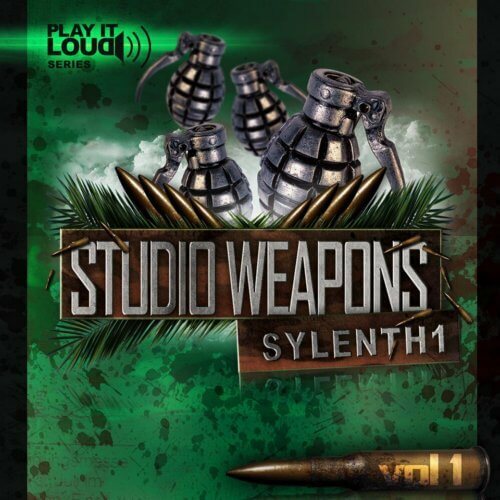 ‘Play It Loud: Studio Weapons Vol 1 For Sylenth1’ begins a new and powerful series designed for Nu Style Progressive House, Electro House, Dutch House, and House production. You’ll find 64 fresh new sounds for the Sylenth1 virtual instrument. In this pack you will find all sounds, drum loops and all samples from the Demo, plus 64 Sylenth1 patches, six banger Kits, 147 WAV loops and 17 MIDI files. If you love tracks with hard and fat drums and leads, like those of Tiesto, W&W, Showtek, Hardwell, Dimitri Vegas, and Like Mike, this pack is for you. Sylenth1 version 2.2.1 is required.